Pauline Larsen Read was born in Malad, Idaho to Rasmus and Phosa Larsen. She was the youngest of eleven children. She never got to know her mother, who died from complications of childbirth. Pauline grew up in Smithfield, Utah and graduated from North Cache High School. She met her future husband, Wallace E Read, while going to North Cache. Pauline also worked at the Smithfield drug store, and, according to Wally’s father, Wally spent a great deal of time there because of “a cute girl working behind the counter.” Wally and Pauline soon eloped to Elko and got married on June 22, 1946. Shortly thereafter, they were married for time and eternity in the Logan (LDS) Temple. They had two children from their marriage, Vickie and Paul. Most of their married life was spent in Preston, Idaho. Pauline worked at Massey Ferguson for many years as the bookkeeper and became friends with both co-workers and customers. She believed in the gospel of Jesus Christ and spent many hours in the service of others. In addition to accepting many positions within the Church of Jesus Christ of Latter Day Saints, one could often find casserole dishes and other baking dishes bearing her name, in kitchens of those in need. She LOVED her children and grandchildren more than anything, but she also loved to play golf! When she worked for Massey Ferguson, she could, oftentimes, be found playing a quick 9 holes during lunch hour. Pauline was the one-to-beat in the Preston Women’s Golf League, winning the championship trophy several times. About 20 years ago, Pauline’s life began to change. Gradually, Alzheimer’s disease made regular tasks and thoughts more difficult. Wally’s passing in April 2010 necessitated the need for Pauline’s move to Scottsdale, where she could be closer to Vickie. She spent the last 8 ½ years living in a wonderful care home owned by Mario and Maria Banica, who took very good care of her everyday well-being. Pauline is survived by her children, Vickie Read (Ron Truitt), Glendale, AZ, and Paul (Tammy) Read, Tucson, AZ. She also has 4 grandchildren and 7 great grandchildren. 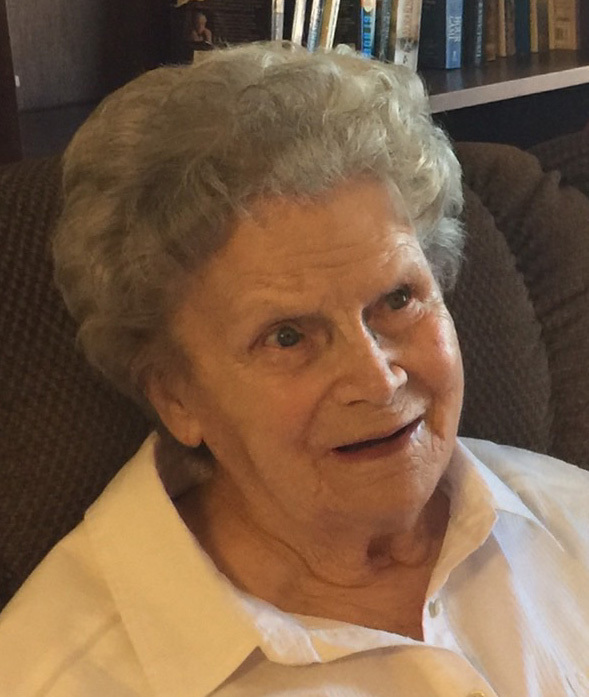 There will be a graveside service in the Smithfield, Utah cemetery, on April 5, 2019 at 11:00 am, where Pauline will be laid to rest next to her loving husband, Wally. The service and burial is under the direction of Webb Mortuary of Preston.